One of the great things about moving is that you can get really creative with it—if you have to drive across country to your new abode, why not make a road trip out of it? However, no matter how innovative you get, there are a few facets of moving that simply can’t be avoided—and packing up your stuff is one of them. While very few people would likely rank packing as an enjoyable activity, it doesn’t have to be an entirely awful process either, especially with these tips and tricks for how to make packing easier under your belt. It’s tempting to let the packing process be the decision maker for what stays and what goes when you’re moving, but a little organization upfront will save you headaches later. Packing can be hectic enough the way it is; the last thing you want to do is muddle the process with deciding what’s worth packing and what isn’t. Sort out everything that’s going and everything that’s staying beforehand and the whole rest of the process—from figuring out how many boxes you need to planning the time it’s going to take—will be so much smoother. Not only will you want boxes, but you’ll want the right kind of boxes depending on what you’re moving. There are special boxes for things like dishes, art, clothes, TVs, and more. 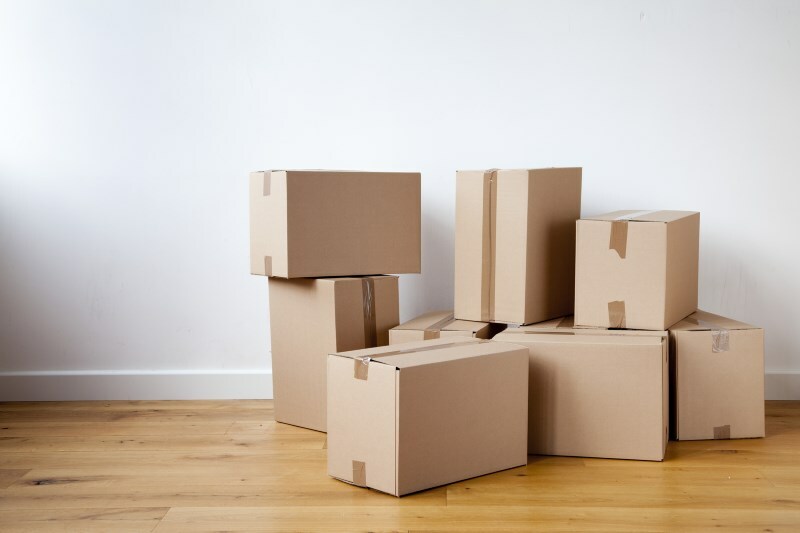 Pay attention to the rules of thumb about what should go in standard small, medium, and large moving boxes, too (heavier things like books go in smaller boxes while lighter items like comforters belong in larger boxes), so you can buy boxes accordingly. You’ll also want to have a few rolls of packing tape and a dispenser handy, as well as other supplies like garbage bags and plastic wrap (more on this in a bit). Having everything you need to get you through the process will save you from having to skimp on tape when it starts to run low or from running to the store for supplies right when you’ve hit your packing stride. Because packing isn’t the most exciting thing on the planet, there’s an ever-present temptation to just toss things in boxes and get it over as quickly as possible. However, if you take a bit of extra time with a jumbo Sharpie in hand and keep your stuff organized at the outset, unpacking on the other end will be much more pleasant (and you won’t have to tear through everything to find your precious French press that you accidentally packed when coffee time rolls around). Pro tip: numbering each box and labeling it with the room it’s headed to as well as a description of its contents is a quick way to add some method to the madness. Keep clothes on hangers and just slip groups of them into open garbage bags to keep them clean. Put plastic wrap over the openings of all liquids before putting the top on to minimize spills. Keep all of your daily necessities packed in a separate bag and keep it with you in case of unforeseen delays. Label your boxes on the sides, not the top, so you can read ‘em when they’re stacked. While packing isn’t traditionally considered a good time, there’s no reason you can’t make the best of it. Invite a friend or two over to help, put on some good tunes, and treat them to a fun and yummy dinner afterwards, or plan to pack things up with your honey by your side and reminisce over good memories associated with the things you come across along the way. You’ll have a good time with some people you care about and a dreaded task will transform into a bonding opportunity. And there you have it. If you follow these tips and tricks and put in a little extra effort up front, your future self will be thanking you profusely when the unpacking process is short, sweet, and headache-free.